I love wandering about London and finding places that still have the old Iron Railing. So much of it was taken down during the war. 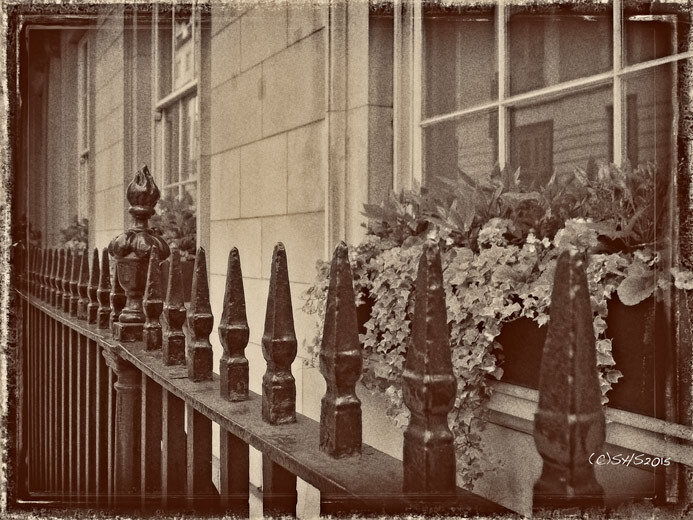 Here is a beautiful Iron Fence and window box for this week’s black and white photograph. Iron Railing in London. Gallery | This entry was posted in Black and White Photography Challenge, photography and tagged Black and white travel photography, England, Iron Railing, Leica Photographs, London, London Black and White Photography. Bookmark the permalink.